2017 Conference Archives | Who Can You Tell? 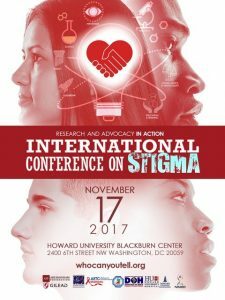 The 8th Annual International Conference on Stigma took place at Howard University on Friday November 17, 2017 at the Blackburn Center. Conference footage is available by the webcast link off our home page. The 9th Annual International Conference on Stigma will be held on Friday November 16, 2018.